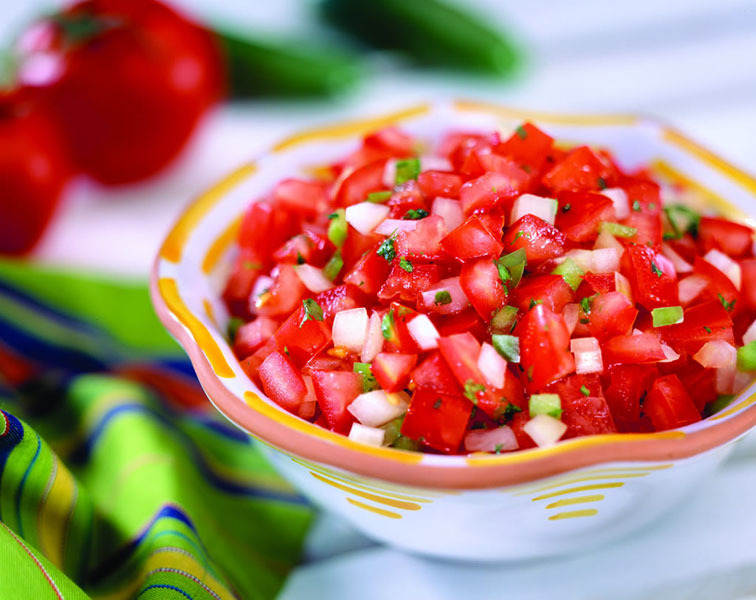 For tomato picada, mix chopped onion, tomato, chilli, coriander, garlic, oil, vinager and season with salt and pepper. Set aside. For poached eggs, bring a pot of salted water to boil, add vinager and simmer. Gently add one egg at a time and cook for two – three minutes, depending on how runny you like your eggs. Meanwhile, toast bread, spoon picada on top of bread. Place one egg per toast and place the avocado on top. Drizzle with olive oil and add salt and pepper.